When you deploy both a Service Manager and data warehouse management server, you are asked to provide a management group name. You are also asked to provide a management group name when you deploy Operations Manager. The management group names that you use for the Service Manager management group, the data warehouse management group, and the Operations Manager management group must be unique. Important: If Operations Manager and Service Manager share the same management group name, you will have to reinstall the Service Manager management server. 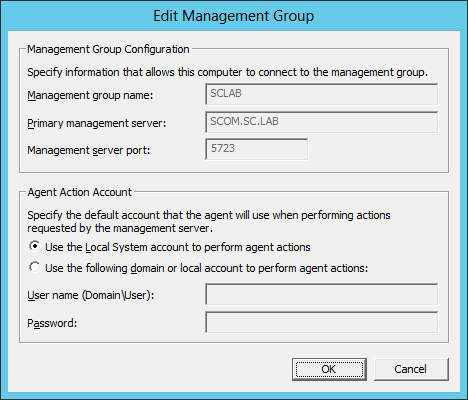 Because it is not possible to rename a management group, you will either have to completely reinstall Service Manager with a different management group name or choose not to manage your Service Manager installation with Operations Manager. You must use the same supported language collations if you intend to import data from Operations Manager into Service Manager. However, this is true only for the OperationsManager database in Operations Manager and the SM DWStagingAndConfig database when you create an Operations Manager Data Source for the data warehouse. Specifically, this appears in the Service Manager console as a Data Warehouse Data Source. This does not affect either the System Center Operations Manager to System Center Service Manager Configuration Item connector or the System Center Operations Manager to System Center Service Manager Alert Incident connector. 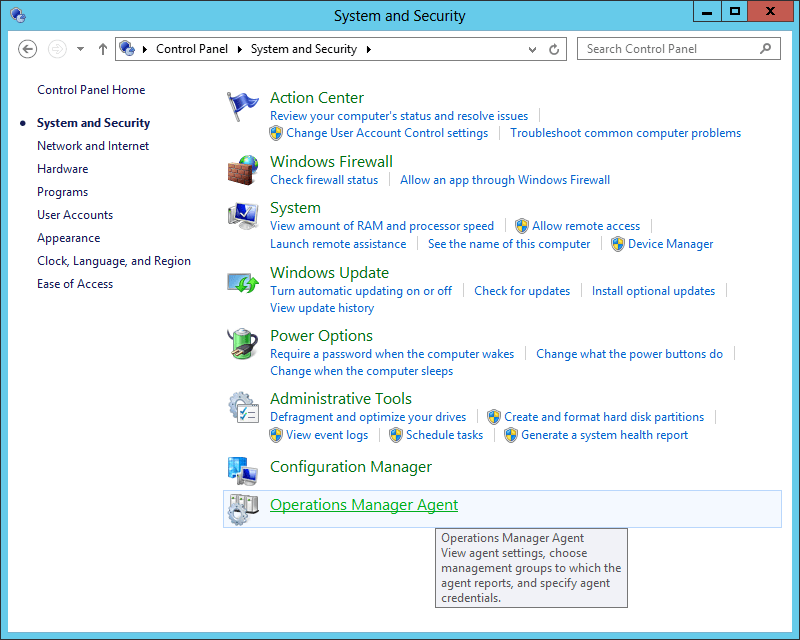 System Center 2012 – Operations Manager is supported by Service Manager and Service Manager SP1 for connectors and agents. However, only corresponding System Center versions are supported when you register a data source in the Data Warehouse workspace. 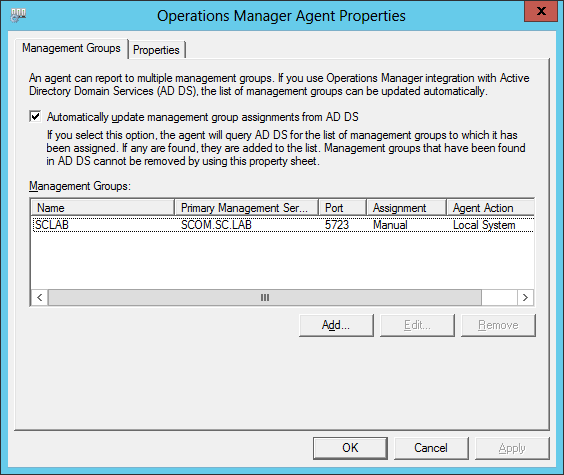 System Center 2012 – Operations Manager agents were not supported with System Center 2012 – Service Manager. However, the agent that is automatically installed by System Center 2012 – Service Manager SP1 is compatible with System Center 2012 – Operations Manager and System Center 2012 – Operations Manager SP1. After Service Manager Setup completes, you must manually configure the agent to communicate with the Operations Manager management server. You can use the following procedure to change the account that the agent will use when performing actions requested by the management server. On the Management Group tab, select a management group and then click Edit. In the Agent Action Account section, edit the account information and then click OK.